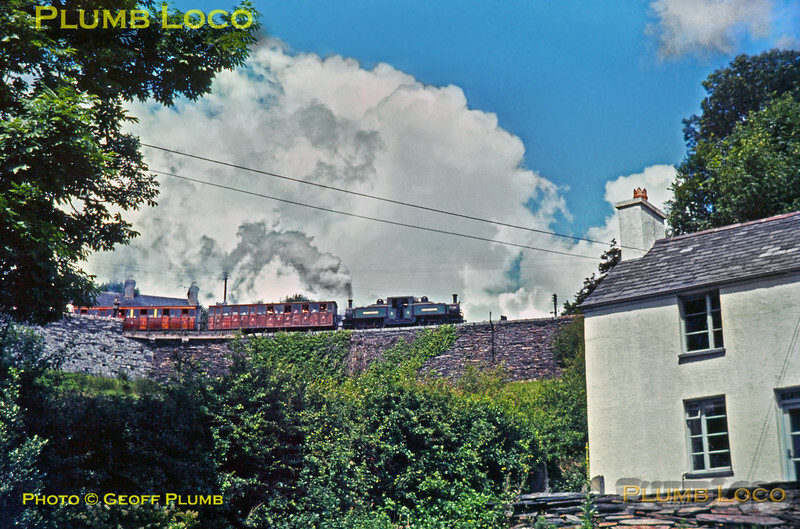 Ffestiniog Railway. FR Double Fairlie 0-4-4-0T "Earl of Merioneth" has just passed the level-crossing at Penrhyndeudraeth as it takes its train up to Tan-y-Bwlch from Porthmadog. Photo taken from outside "Pantyfynnon", the house where we were staying at the time. July 1967. Slide No. 2897. Pantyfynnon! That takes me back! !